Man this has honestly got to be at collectable status, surely. Have you still got the GTB, Mark? 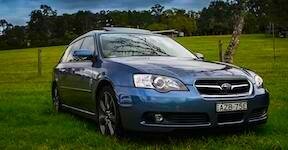 Also, some muppet is trying to sell your old Gen2 for $25K on Carsales! Yep, GTB still daily and hasnt missed a beat yet. Fix as required and its still tight. Last tank got 9.8L/100km, coming up to 190K. The Gen2 is still for sale? Wonder if its the same guy. 25K is a bit rich LOL! Sold it for 13K. If I could type a falling whistle sound I'd have it here... The wagon is looking amazing and you must be very proud of your efforts as it looks amazing! Going for club reg or full rego with some personalised plates?? Cheers. Not a fan of the maroon club plates and having to fill out a logbook each time you drive. Going full reg, plates already purchased, SURF-61. RWC passed first try on Saturday and it goes in for REG on Tuesday. Holy beejesus Mark. That's a damn fine engine bay. Looks like it literally just came out the factory. Chev bay is soooo clean. Better still, it's super stock and packed with detail! Cheers guys. I love driving this car. Wagon was a big hit at the recent vintage surfboard and surf cars day at Point Leo. 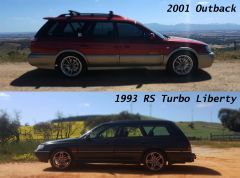 A couple of shots from VicRoads Custom Plates who did a shoot on it. Mighty fine job you've done. Well done, it looks magnificent. 100% agree. It's on a different level and I'm not surprised you have had the attention it deserves. Well done Mark. Geez mate, hats off to you. Stunner! And those plates look right at home with that style - I didn't even know that style existed! GTB is going great, daily duties and it does what its meant to, gets me from A - B reliably and down rutted, dirt roads for surfing. Parkwood is going great. Plenty of additions have happened and are happening, the most notable is dropping 9.5K on Accuair and Ridetech air suspension / suspension components. Self levelling, tubular control arms throughout. Should be mint. That's awesome man. Anything pic worthy? Got heaps of pic's on Instagram. Yeah do. Forums these days are full of over opinionated and under skilled individuals with little ability so I don't bother much anymore. Glad to here the car is still treating you well mate. What's your Instagram? I'd love to check the pics out. Not all of us are though! I still frequent the forum. Instagram pics are amazing Mark. Great work getting it to where it is man. Massive patience and dedication to your work.